Car Mechanics in Rockhampton | Trusted Auto Repairs | Roadworthy Certificates | Best Pre Purchase Inspection | Brakes | Suspension | Radiators | Cheaper Servicing | (07) 4926 1303. You will get Professional Services By Senior Certified Mechanics and Technicians. Its Time to Stop Paying Too Much for Car Mechanics and Mechanical Repairs get a Fixed Price Before Work Commences. Highway Auto offer you a complete range of automotive mechanical services. Cars, 4X4, SUV, Caravans and Motorhomes. Get more information about car and 4X4 air-conditioning repairs here. Highway Auto do all manner of electrical repairs, including Alternators and Starter Motor replacement, as well as wiring, battery, controls, voltage regulator, generator, sound system and other electrically operated and controlled system and device work. Read about Auto Electrical Systems -- all of your questions answered here. You can discover lots of tips and instructions on diagnosing your car electrical problems by following links on this site. Discover more about car mechanics & car servicing. Highway Auto are Battery Experts, they are the ones you can trust for best advice and service. Discover the true facts on Batteries, all of your questions answered here. Highway's EFI Service includes the checking of sensors, petrol injection system diagnostics, testing and inspection, throttle body cleaning, fuel filter and fuel injectors, checking of engine control unit (ECU), repairs and replacements. Service Includes injector clean as required and 64 Point Safety Check. Highways use the latest diagnostic equipment along with the manufacturer&apos;s current electronic data. Highway Auto do minor and major engine repairs, including Engine Rebuilding and Engine Reconditioning. Highway Auto have the mechanics and Technicians with expertise and technology to service your prestige, luxury and European vehicles in our workshop, including BMW, Renault, Peugeot, Lexus, Audi, Mercedes, Porsche, Volvo and many more. Highway Auto fix automotive Exhaust Problems. Exhaust manifold, gasket, fastener, joint, catalytic converter, muffler, tailpipe, emission inspection, fitting and servicing. Catalytic converter thermal testing. Highway Auto maintain most of Rockhampton&apos;s Emergency Services Vehicles. We have adaptable electronic data and accounting systems to effectively manage all aspects of record and purchasing systems. Fast reliable service with attention to detail are in our DNA. These Services Include replacement of oil, filters and band adjustment if required. Full diagnostic check for automatic and manual garboxes. Exchange Transmissions for most Vehicles. If you have a new car under Statutory Warranty, you can rest assured Highway Auto will carry out the log book service as required and you will still retain your manufacturer&apos;s warranty. Once your service is complete, we will stamp your vehicles logbook as a record of compliant regular maintenance. Highway Auto will conduct a comprehensive motor vehicle condition report to assess the condition of the motor vehicle. Highways are also an acredited Queensland Transport Roadworthy Inspection Station. Highway Auto Steering Service cleans and treats the Power Steering system, checks seals, cleans debris and contaminants. Highway Auto offer a Safe and secure car towing service making sure your vehicle gets where it needs to be. Contact us for quick response and never get stranded again. (07) 49261303. Highway Auto can attend to all your Wheel Aligment requirements, including 4 Wheel Alignment, Camber kits & Caravan Axle Alignment. Balancing is all about Adjusting the tires and wheels to spin without causing any vibrations. Windscreen & Glass Service Highway Auto provide windscreen repairs, windscreen replacements, headlamp renewals, watermark solutions, tinting service, etc. How do I know when I need a car tune-up? Every vehicle needs a quality car tune-up. No matter if you drive the latest start-stop technology or a classic collector, regularly scheduled engine maintenance is key to helping extend the life of your car or 4X4, maintain fuel economy and prevent major issues from occurring down the road. Your car and 4X4 engine deserves quality maintenance. As vehicles have changed throughout the years, so have our tune-ups. Todays car tune-ups are really part of your scheduled maintenance. We thoroughly inspect your car or 4X4 for any issues as well as run a state-of-the-art diagnostic test to get a comprehensive analysis of your vehicles performance. Fluids leaking from your vehicle can often cause a panic, but not all fluid leaks are cause for immediate concern. 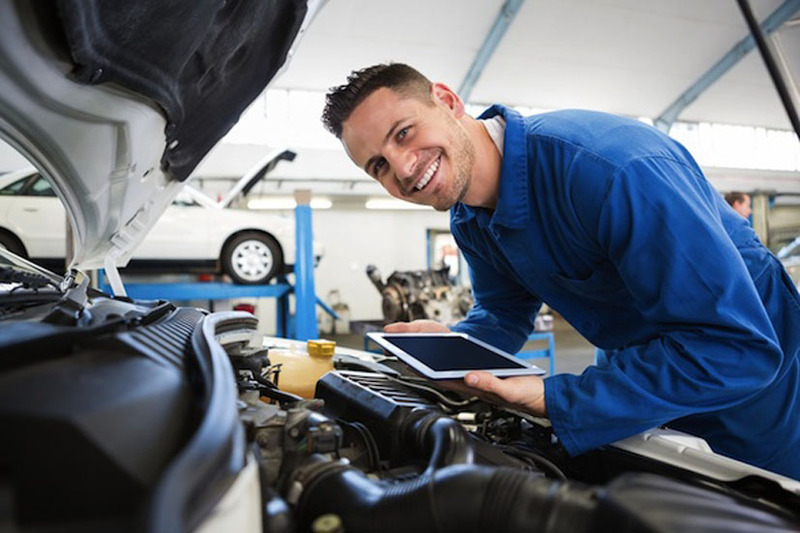 Identifying the substance can help you determine how major and urgent the repair is (if at all) and help you have a more intelligent conversation with your Highway Auto technician. Below, our experts have compiled some common liquids that can leak from your vehicle along with some tips to help you identify them. Motor Oil This is the most common for several reasons. First, its the fluid that is most often changed, so residual spillage is often a cause. Second, in most cars, there are more places for oil to leak out of. If you see a large puddle, especially after a recent service, consult your service center immediately. Sometimes, an oil leak will drip down on hot portions of the engine while it is in use. When this happens, you will have faint burnt toast smell during operation. In some cases, you can see light blue-ish smoke emanating from under the hood. If you are seeing any small, very slow oil drips from your car or 4X4, bring it in to Highway Auto for a free visual inspection. Even small leaks should be taken care of fairly quickly, as driving an engine with low oil levels can cause permanent damage. Automatic Transmission Fluid Automatic Transmission Fluid (ATF) is used in all cars that have automatic transmissions as a lubricant for the moving parts of your transmission as well as a coolant and viscous fluid that transmits power from the engine to the transmission. Its also used in some manual transmissions, transfer cases (for four- and all-wheel drive vehicles), and even in some power steering systems. ATF can be a number of different colors, but is traditionally red or pink. As it ages, it becomes more brownish in appearance. It has very little odor when it is new; although in some instances it can smell slightly metallic. As it ages, it can begin to smell a tad like varnish. Puddles of fluid should be addressed right away. Leaks are usually found in the front of the car in front-wheel-drive vehicles and near the middle of the car in rear-wheel-drive vehicles. All-wheel drive vehicles could have leaks at either place. Power Steering Fluid Most vehicles use a special light hydraulic fluid for their power steering systems, generically referred to as power steering fluid. It is clear to light-brown in color and smells faintly of rubbing alcohol. It generally leaks from the front or the front-side of the vehicle. Leaks should be addressed right away as a loss of power steering fluid can cause diminished steering control and result in an accident. Coolant (Antifreeze) Coolant is usually green but can also be orange, yellow, red or somewhere in-between. Its most easily identified by its smell, which is very sweet. If your car is leaking antifreeze, something has malfunctioned and needs to be addressed. Antifreeze (which also is used in your vehicle heating system) can also leak inside the car. Most commonly, this leak is in the floorboard as its likely from a leaking heater core component, but sometimes it can blow out as a mist from the defroster. Typically, you will smell the antifreeze before you see it. Any coolant leaks should be addressed right away. *An important note about coolant: it is deadly if swallowed. Not only to humans, but to pets and other animals as well. Be sure to clean up any leaks or spills thoroughly and wash your hands well after any contact. Differential Fluid Rear-wheel and four-wheel drive vehicles use differential gears on the drive axle to shift the direction of rotation toward the wheels. To lubricate those gears, these vehicles use very heavy oil that is often gray or brown and has a pungent, distinctive odor. Differential fluid leaks are often seen under the axle, but they can sometimes also leak out of the ends of the axle into the braking system and onto the tires. Differentials do not hold large amounts of fluid, so its critical that even a small leak should be addressed in short order. Brake Fluid Brake fluid is a hydraulic fluid, much like power steering fluid. Its light yellow to light brown in appearance and smells faintly of alcohol and metal. This is a critical fluid in your vehicle because without it, your brakes will not properly stop your car. And since the brake system runs from the firewall to each wheel, it can leak at any point under the car. If you see any brake fluid leaking at all, do not operate the vehicle. If fluid has leaked out, then air has leaked in and can cause failure. Fuel The strong smell of petrol is a give-away here. If your vehicle is leaking fuel, it is dangerous. Do not drive your car; have it towed to Highway Auto as soon as possible. Water Often, especially on hot days, clear water can drip out from under the car. Your car air conditioning system creates condensation on the cooling lines and evaporator. Your vehicle is designed to dump this clean water onto the ground. Other Fluids Depending on your vehicle, there are other fluids or substances that can leak out of it. Bearing grease is always thick and tacky and can be found on the wheels. This can indicate a serious bearing or seal problem and should be evaluated right away. Some heated mirror systems use coolant that can leak out (and damage vehicle paint if not quickly attended to). Windshield washer fluid is usually blue or purple and smells a little like ammonia. This can leak from the reservoir in the front or from the back window if your vehicle is equipped with a rear window washer. CV axle grease is brown, black or gray and is usually found slung on the inside of the wheel or the wheel well. This is the result of a broken CV boot. If you repair it immediately, you can often fix the boot instead of the axle and save yourself time and lots of money. Get best price and advice on Mechanic repairs, Auto electrical problems, Alternators, Starter Motors, Batteries, Cruise Control, Air-conditioning at Highway Auto Electrics air-conditioning mechanical 246 Musgrave St Rockhampton North Berserker Qld 4701. Highway Auto Electrics at Berserker North Rockhampton provide professional car care and servicing for Central Queensland motorists. All workmanship is guaranteed its fixed or its free for all makes of vehicles a reliable car service car repair automotive specialist shop. Highway Auto Electrics 246 Musgrave Street and 57 High Street Berserker, North Rockhampton Queensland offer the unique opportunity to motorists from the coal fields: Emerald Clermont Springsure Blackwater Rolleston Dingo Baralaba Moura Duaringa Gracemere Mount Morgan Yeppoon Emu Park Zilzie Kepple Sands a same day service for servicing their: Ford Holden Toyota Hyundai Honda Kia BMW Mercedes Benz Nissan Mazda vehicles. Highway Auto Electrics air- conditioning mechanical are specialist repairers of fuel injection (EFI)systems for all cars and 4X4. The entire fuel delivery system: fuel tank and fuel gauge fuel pump fuel filter fuel pressure regulator Fuel injection EFI electronic fuel injection EFI injector cleaning Injector clean and test and on car injector cleaning Highways can help you. Highway Auto as part of your car service will check your Air Cleaner Carburetor Engine Oil Condition, Engine Oil Level oil sensor oil filter check for oil leaks Fan Belts alternator belt, timing belt, engine Fan Operation radiator Hose Radiator Pressure Test Cooling System Water Level water temperature water leak water condition Oil Pressure oil pressure sensor Transmission and engine oil condition Auto Transmission Oil Level Manual transmission oil leak Water Pump. Highways will check to see if your vehicle has Oil Leaks or is emitting oil fumes or dangerous emissions. Highway Auto Electrics Air-conditioning Mechanical electronically managed automotive systems computerized systems which monitor the electronic signals from a central processing or car computer area within your car electronic system. The computer diagnostic service interprets such things as car battery voltage response signals actuators Input signals sensors coolant temperature ambient air temperature intake manifold pressure atmospheric pressure engine RPM road speed throttle position combustion residue gear selector. The electronic data is essential for a more efficient running motor vehicle. The electronic control system processes data for the car braking system. The wheel speed sensor is located behing the brake disc rotor. Replace only faulty parts because Highways can test all electronics and actuators in place to save you money and time. When you visit the car brakes page of this website you will find the Brake fluid story. The brake fluid story highlights the workings of your car motor vehicle braking system. You can read about the complex blend and chemical compounds that make up a cars braking system and the servicing you will require to maintain your cars brakes in a safe condition. You can also read about Camshaft Drive Belt and Timing Belts including information on overhead camshafts and their direct bearing on engine valves. There is a very important section covering car cooling systems the information involves subjects such as engine temperature air cooled engines such as used in Volkswagen and Porsche vehicles heat coolant water pump circulates a vehicles thermostat the working of the radiator and the cross flow radiator. The problems of corrosion such as Pitting corrosion Galvanic Corrosion and Stray Current Corrosion. Highway Auto Electrics have a section dedicated to wheels Suspension wheel alignment tyre and wheel wobbles steering wheel. Your car might be fitted with radial tyres or low profile tyres tires that require regular wheel balance balancing or tyre rotation. It is noted that lateral force variation can effect wheel bearings cause worn universal joints velocity joints and the tail shaft balance of your car What is the correct tyre inflation for your cars tyres flat tyre? Highway Auto Electrics can help your cars battery power systems Highway Auto will examine check your Charge Rate Battery charge Volts Amps Alternator Generator Starter Motor Voltage regulator Battery carrier Battery holder Battery Terminals Battery cables and your starter motor alternator. Your car should always be checked for efficient running and engine power which includes the Cam Belt Timing belt Power balance check Emission Controls Engine Mounts Gearbox mounts Auto transmission mounts Engine Noise Level Exhaust Emissions Fluid Levels Fuel Lines Fuel Pump Lift pump and the Ignition System. There is so much that should be regularly serviced and checked relating to your motor cars electronic wiring including the Central Locking system Cigarette Lighter Electric Mirrors Gauges Warning Devices Hazard Lights Indicators Head Lamps Park Lamps Number Plate Lamp Reverse Light Reversing Buzzer Stop Lights Tail Lights Instrument Lights Interior Lamps Reflectors Boot Light Radio Cassette CD player Horn Speedo Odometer Trip meter Rear Demister and the Alarm system. Highway Auto can do this for you. Don't leave it till it rains to check to see if your windscreen wipers are operating properly. It is part of our service. Underneath the vehicle must be serviced regularly also. You need to check the Front suspension Rear suspension Ball joints King pins Idler Assembly steering idler and Pivots. Your car brakes are extremely important therefore the following should be inspected serviced and maintained. They are the Brake pads Disc brake pads Disc rotor Disc brake Disc rotor thickness Brake disc run out Brake calipers Brake drum Brake drum machining Brake linings Brake wheel cylinder Brake hose Hand brake park brake Hydraulic brakes and the Mechanical linkages. The interior side of the braking systems of your vehicles should also be checked including the Brake pedal Brake pedal travel Power brakes Brake wheel cylinder and don't forget to check the Brake fluid and or change the brake fluid at regular intervals. The struts are important and should function accordingly the main struts are the Bonnet struts Re-gas struts Boot gas struts and Hatch gas struts. For the sake of your driving comfort and safety we can check your Heater Demister Defroster Rear view mirror Electric mirrors Electric seat adjuster Seat belts Sunroof Air bags SRS systems Windscreen and the Glow plugs. It is worthwhile to check your car for Exhaust emissions and Vibration listen for Wheel bearing noise Diff noise the Clutch Transfer case the CV joint the steering lock and the Cruise control. Don't forget to check that your Car security is functioning. Highway Auto can assist you if you reside in the Yeppoon Capricorn Coast Area. Bring your vehicle into be pampered. When it comes to motor vehicles diagnostic systems Highway Auto are specialist with Diagnostics using the latest Bosch FSA 740 system Download ECU date Exhaust emission analysis Oscilloscope analysis and Reliability Inspection. When it comes to your cars braking systems Highway Auto covers the following field of car brake disc pad replacement pad replacement and machine rotors Overhaul disc calipers Master cylinder exchange Master Vac exchange Flush hydraulics and change fluid Upgrade car brake rotors for towing also Reline drum brakes we have Exchange hydraulic wheel cylinders Park brake adjust and Suspension and Suspension Systems for your car. Highway Auto Electrics offer the following services for Diagnostics and inspection car Wheel align 2 front only Wheel align all wheels Wheel balance Shock absorbers Struts Springs Control arm bushings Sway bar rubbers and bushings. When it comes to Radiators and Cooling Systems Highway Auto offer you checks and services on Temperature check and Diagnosis Clean and flush cooling system Change out coolant Water pump Thermostat Hoses and belts. Highway Auto Electrics service your vehicles exhaust system including Exhaust Mufflers and pipes, Catalytic converter Tailpipes Oxygen sensor. When it comes to car motor vehicle truck and four wheel drive accessories Highway Auto Electrics can supply and fit Bull bars tow bars Central locking Phone hands free kit long range phone antenna Child restraints car CD players and Hi-Fi Rear view video Parking radar Car security Electronic rust prevention Electric windows. See Steve and the team at Highway Auto Electrics for Roadworthy Inspections Queensland Transport Roadworthy inspections authorised Road worthies Pre Purchase Inspections Reliability and Road safe Inspections at Highway Auto Electrics You can Book your Inspection with Highway Auto Electrics Rockhampton Central Queensland. Highway Auto Electrics for service of auto electrical systems including alternator generators starter motors Ignition Systems, Lighting Systems Computer Control Systems Electric Wiring Electronic Fuel Injection EFI and injector cleaning Injector testing and flow check fuel injection ultra sound cleaning service 4X4 Batteries and Car Batteries get Phone Hands Free Kit installations with Phone Long Range Antennaand GPS navigation systems also Central Locking and Security Systems. Highway Auto Electrics for car ignition systems installation and testing of computerised diagnostics Oscilloscope imaging. Spares for all car ignition systems car Ignition cables and Spark Plugs. When it comes to lighting systems call in and see Highway Auto Electrics for auto Lighting headlight aiming and headlight installation which requires specialised electronic plug-in to fix headlight systems. Highways have diagnostics along with Spares for all lighting systems car or truck lighting plus work lights trailer wiring and to upgrade your existing lighting. Highway Auto Electrics are experts with Fuel Injection systems. Highway Auto can clean and test your fuel injection system and perform diagnostics for all makes and models do Analysis of your exhaust emissions and offer you spares and a Power tune. Updated 29th May 2016. This month special on car mechanical repair. Falcon, Commodore, Toyota and Mazda owners can have a FREE performance snapshot by our most senior Mechanic at our Rockhampton shop.